One of our favorite sessions we've done recently was with a little girl named Kate. We just have to share the photos with you! She came to the studio in an adorable summery pink dress, with a cute white bow in her hair! Although it was a hot Folsom day, we went to a couple of great locations & had so much fun laughing & using different props in the photos. Our favorite location of the day had some beautiful pink roses. I love how they matched with Kate's light pink dress! This is where her true personality came through & she had a lot of fun posing with the flowers. Some of my favorite shots were of her walking through the garden, we're a big fan of 'in the moment' photos here at Luminis. The light was just beautiful! Near the end of the session, we grabbed some chocolate ice cream (gotta have the waffle cone!) from the shop across the street & went to town! Oh to be a kid during the summer! It was such a great end to this warm day. Thanks for being so sweet, Kate! Themed shoots are some of our favorites! These cute cousins were all decked out in patriotic attire. Each of their outfits showed their personality and we love that they were wearing different colors and patterns to match each other. 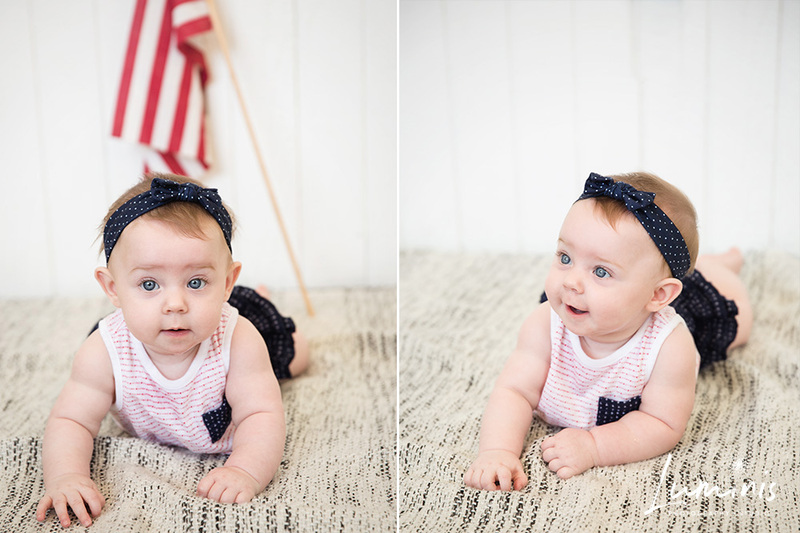 Even the newborn baby was getting into the red, white & blue theme in an adorable polka-dot onesie & red headband! This charming bunch looks like they could lead the parade! We're so glad we could capture the interaction between these sweet cousins. 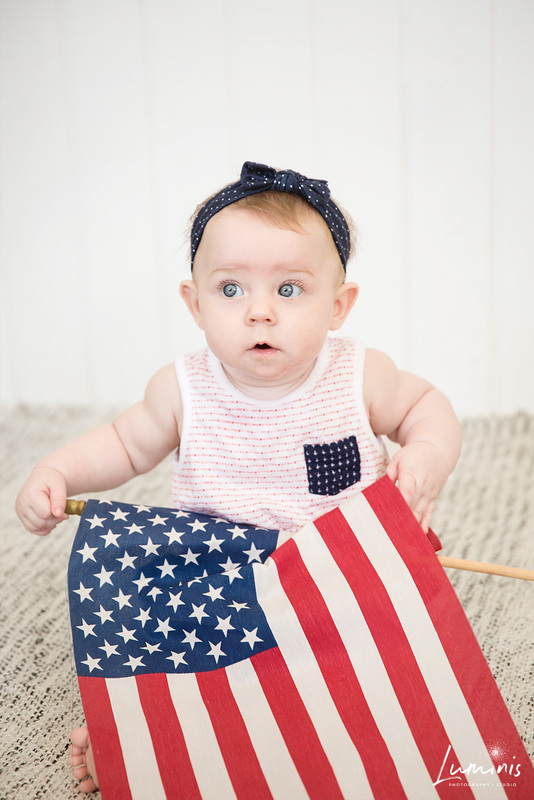 We're looking forward to celebrating the 4th, and hope you & your families have a memorable holiday as well!